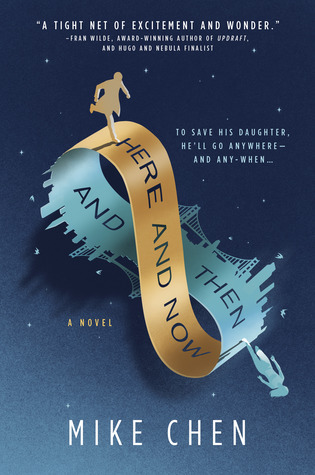 Here and Now and Then is a pretty nifty time travel story with a lot of heart. Kin Stewart is a time traveler- sent back from 2142 to prevent a time anomaly, but things go wrong and he ends up stranded in the early 21st. His retrieval beacon is damaged and he has no way home. So he does what any sensible time traveler would do in that situation- he adapts and adjusts to his new reality, eventually marrying and having a child. Eighteen years later someone comes from the future to retrieve him- but in 2142 it's only been a few weeks that he's been gone. Not eighteen years. Kin has no desire to go back- he barely remembers his previous life. A side effect of time travel is that he slowly loses his memories of his previous life- it's not entirely clear why but apparently the mind doesn't do well trying to process two timelines. The longer he's "here" the less he remembers of the future. He's happy too, married to Heather and raising his daughter Miranda. Life is good... until the future finds him again. Dragged back to 2142 against his will, Kin has to come to grips with the fact that he had a life there- and a fiance as well. Penny was the love of his life before he went back in time, but the problem now is that he can't find those feelings- he's in love with Heather now. And of course he's gutted by the fact that he'll never see his daughter again. When something happens though and he realizes that Miranda's future is in jeopardy, he has to make a decision. Does he let the past play out or does he save his daughter- any way he can? Like I said this story has a lot of heart. I really felt for Kin and the decisions he has to make, the pain he goes through. And Miranda is fabulous. She is such an inspiring character and an amazing young woman, but things don't go well for her after Kin disappears. Kin breaks the rules and looks in on her future- and what he finds is alarming. And yet there is seemingly no way he can intervene- to do so risks getting her terminated as a temporal anomaly. The time traveling authority considers Miranda a corruption of the timestream- after all, Kin wasn't supposed to marry Heather and even have a child! Her own existence is therefore a problem from their perspective. The horrifying part is you can kind of see their point. Kin wasn't supposed to marry and have a kid in the 21st, and the whole point of the time traveling authority is to prevent mistakes like this. On the other hand, if they're going to police the timestream and send agents back to change things or apprehend bad guys, they have to expect something like this will eventually happen. And even though Kin does some boneheaded things, I was totally pulling for him and Miranda to come out of this unscathed. The characters here are amazing. Kin and Miranda's relationship is beautiful, and Penny really shines as the story goes along. It would have been easy to lose her a bit in the shuffle, with all the permutations and time travel stuff, but she really comes into her own, and rather than just being a jealous bystander she becomes central to the plot. I loved that. And the Temporal Correction Bureau- the time travel authority in 2142- is awesome as a concept. Imagine buildings piercing the clouds and a facility where great holo screens stream data from the timestream, where different departments handle mission planning or retrieval, or monitor the past for deviations and errors. It's such a fun idea. There are a lot of amazing time travel stories being told right now, and I've read several good ones in a row. This one joins my list of favorites, and it's not because of the time travel shenanigans- although those are amazing- it's because of the feels. Seriously, this story moved me. What would you do to save your child if you were separated by over a century of time? If changes you make in the future affected how her life played out a hundred years ago? It's mind boggling stuff, but Mike Chen never loses the heart of the story- the love between a father and a daughter. When I first heard about this one I was instantly intrigued. I like a good time travel story. But reading your review and getting more of the story - especially about the daughter - has me so hyped for this one. I already have this on hold for my husband on Overdrive but I'm pretty sure I'll be reading it, too. I totally bought the audio for this when I saw Shannon talk about it and it is up next for me. So glad to see you liked a lot too!! I loved it! And Shannon's the reason I even knew about it!! OMG! I actually have it. This sounds so good! Not all time travel stories work for me but I think this book would. This is not my typical read at all but you have me sold! This sounds amazing. It's a really good story! Oh time travel stories are always so much fun. This sounds so good. Time travel doesnt always appeal to me, but this one sounds really good. Another addition to the TBR!! I really love time travel stories, especially since there are so many what-ifs. I love the focus on family in this one. Huh, this does sound interesting and like a nicely thought-provoking time travel story. I do kind of see the authority's point, but I also see the MC's point in wanting to have a life and save his kid. Glad to hear this was good! This sounds fantastic, Greg! I do enjoy time-travel but I seem to always find books where they travel to our past. I like the fact that these travelers came from our future. I will have to look for this one. this sounds really good.I love time travel stories and it is hard to find good ones... at least for it is. I will need to check this one out. This actually sounds really interesting! I can imagine the angst of the MC over his choices. This reminds me a bit of Outlander and Travelers mixed into one. I love time traveling stories too as long as they don't get too complicated. Glad you enjoyed this one. Oh, wow. This book sounds PERFECT for me. I love all the moral quandaries that come up with time travel. I am rushing off now to get my hands on this in some way. This sounds amazing! I'm always on the lookout for time travel stories that are well done so this one is definitely going on the TBR. Great review. I have been wanting to read this one, and am so glad you enjoyed it. I love books that bring out my emotions. Thank you for your insightful review. YESSS I am so happy that you liked it too! I am also happy because I feel like I have convinced someone to purchase this book and wow, that makes me a useful blogger 😂 But wow, you nailed it with the book having heart! That is the perfect way to say it. Also, YES I love that you CAN see why the future feels the way it does- dude broke the rules! But still. Don't kill kids, you jerks. This sounds SO good! Time travel can be so hard to pull off, but this sounds like it does it well. Great review! I skimmed just a bit of your review bc this is next for me and I am desperate that it be GOOD -- which okay, I saw enough to realise that it really is YAY! 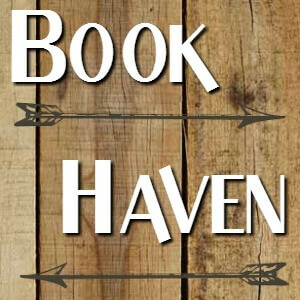 I haven't heard of this book previously, but I'm definitely intrigued based on your review - especially for the fact that you mention it has a lot of heart; those are my favourite kinds of reads. Thanks for sharing! I've added this to my wishlist! So glad you liked this. I don't ream many TT books but this one sounds like I would love it because of the feels. I will have to add this one to my list! Great review! I have this one and you have made me all the more excited to read it! It sounds like it does time travel well which I think is something very hard to get right. And I love the sound of the emotions and perspectives you can relate to.